Segment makes it easy to send your data to Freshsales (and lots of other destinations). Once you've tracked your data through our open source libraries we'll translate and route your data to Freshsales in the format they understand. Learn more about how to use Freshsales with Segment. This destination is maintained by Freshsales. For any issues with the destination contact us at support@freshsales.io. You can create and update Freshsales Leads and Contacts through Segment. We support identify, page, and track methods. Once your Segment source starts receiving data, you can send them to Freshsales by enabling this destination. You can enable it from Freshsales Admin Settings for Third Party Integrations. Select the Segment source from which data has to be forwarded to Freshsales. You can also enable Freshsales destination from Segment destinations dashboard. You will have to provide the subdomain of your Freshales Account and an admin API key. You can use identify to create a lead or a contact when a website visitor fills a webform. When you identify a user, we’ll pass that user’s information to Freshsales. userId is a mandatory field which is used to identify the lead or contact in Freshsales. If your user identifier is not email, then email has to be a part of traits. By default, every identity is created as a lead. If you’d like an identity to be a contact, you’d need to pass fs_contact as true as a part of traits. traits are pieces of information you know about a user that are included in an ‘identify’ method. Segment has reserved some traits that have semantic meanings for users. You should only use reserved traits for their intended meaning. Check the Segment Spec to get a list of reserved traits. All attributes that are a part of traits should correspond to the internal names of those fields in Freshsales. Attributes that are not mapped with their corresponding fields are ignored. However, we make exception to two attributes ‘title’ and ‘phone’ that are part of default traits. They are automatically mapped to Freshsales attributes ‘job_title’ and ‘work_number’ respectively. As part of traits, you can send custom fields created in Freshsales by using their internal names in camel case. You can find internal names in corresponding field settings page. Also, custom fields will not be automatically created. You have to create them in Freshsales before proceeding to send data from Segment. 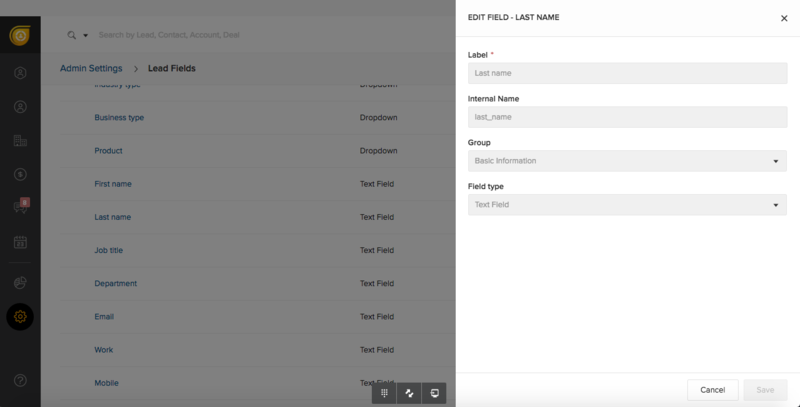 To learn more about creating custom fields in Freshsales check this link. Accounts and Deals associated to a contact or lead can also be updated in Freshsales. The objects company and deal in the identity correspond to the Accounts and Deals in Freshsales. You can pass the traits of the company or the deal along with the respective objects in the identity. You can track activities of your website visitors. If a user is subscribing to a newsletter and you want to track it, use track method to accomplish that. When you track an event, we will send that event to Freshsales. Segment has standardized a series of reserved event names that have special semantic meaning. We map these events to tools that support them whenever possible. See the Semantic Events docs for more detail. Also, custom events are supported. If a user is visiting your web pages and you want to track it, then use page method to do that. When you call a page event, we send a pageview to Freshsales. You can send extra pieces of information as part of properties. See the reserved properties for more detail. 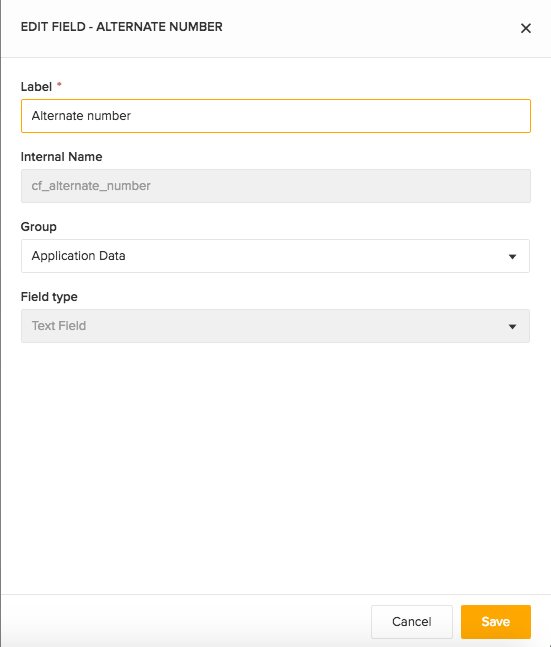 Make sure that the traits you’re passing through match the custom field’s internal name and data type. You can find your Freshsales API token on the Integrations page under Profile Settings -> API Settings. Provide the subdomain of your Freshsales account. So if your domain is segment.freshsales.io, then your subdomain is ‘segment’.